Remember when the sounds of music like An Old Fashioned Love Song as well as other songs would bring you to a feeling of drawing closer to the ones you love or provide memories of good times with friends? The Old-Fashioned Letter is another method of which memories are provoked. Do you remember the first letter that you received or the first letter that you mailed? My dear daughter and I were at the library recently. She picked up a book that she started reading to me on the way home. 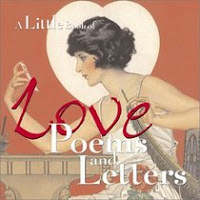 The book is entitled “A Little Book of Love Poems and Letters” edited by LenaTabori and Natasha Tabori Fried. I recommend that you pick up this short little book that is a fast and whimsical read to explore some poetry by William Shakesphere, a letter from Winston Churchill to his wife or the letter from the poet Keats to Fanny Browne among others. A few lines that really sparked my interested were on pages 64 and 82-83 of the book. ...I've been reckoning up, in a tumultuous, heartfelt sort of way, the value of my little wife to me. I see love in those lines as he ponders the value of his wife. He goes on to distinctly relay to his wife exactly the love his has for her and the things that bring such meaning and success to him as a result. Would not any wife want to read such a passion filled letter from their spouse? I dare say that today's verse is not like the past. ...To John My Dearest Friend, ...should I draw you the picture of my heart it would be what I hope you would still love though it contained nothing new. This letter is a heart filled with pure love for John Adams. A love she shares with us showing her heart expanded fully and one that any husband would delight in receiving. Of course not all the letters present love because there is correspondence from Napoleon Bonaparte to his wife Josephine that drips with repudiation. It is clear his love is no longer alive. There is a letter from a clot of man named Simon Fallowfield to Mary Foster that I found to be hysterical. Fallowfield was a farmer looking for a wife (or better read between the lines a replacement for his ill mother). He promised to provide a good name and home in exchange for basically servitude in my opinion. His letter did not invoke love or anything resembling love but more of a depiction of a marriage that was more a contract than a relationship. Pick up a copy of this book and read on pages 40-43 to see why this proposal was rejected! 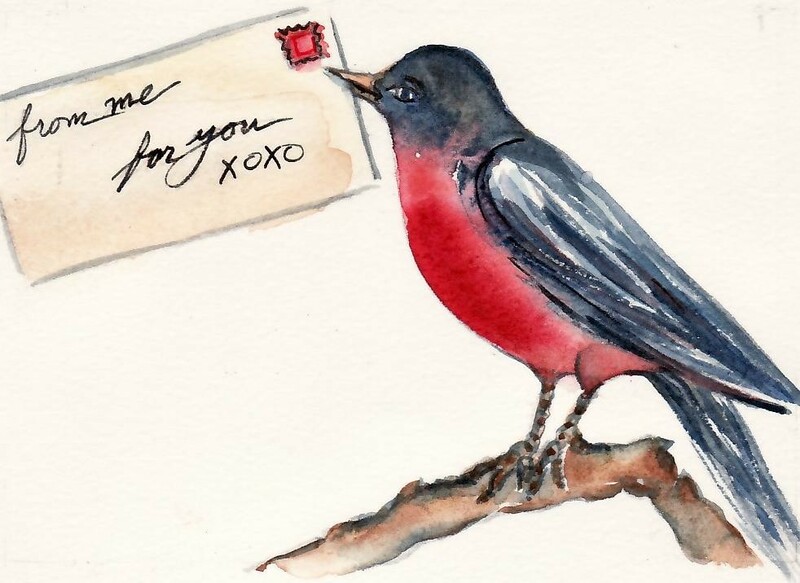 Do you remember the first note you received from your first crush or that letter you received in the mail? Do you still possess that note or letter? 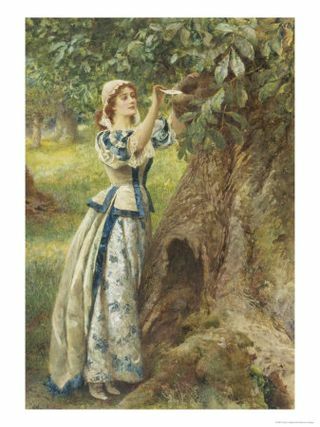 I remember the first love letter correspondence I received and exchanged was when I was a young girl of 12/13 years full of “puppy love” for the handsome fellow I had met a few hours away. You always remember those first letters and in a packed box somewhere is my childhood keepsake box that may or may not have a picture or a letter lost inside of it. What really moves me however is that, according to my mother, my Mee Maw kept most of (if not all of) the cards/letters that she and my PaPa gave to each other over the 68 years of marriage. Now if that is not a blessing to show each other affection I couldn't tell you what else would be. I too have in my possession the cards and letters exchanged between me and my spouse. Or what about those constant notes back in forth during your History, English or Science class as a teenage student – before texting? Do you remember those notes passed back in forth between friends? One of my cherished memories is the package of molasses cookies and letter from my dear Aunt 'Nette when I was in my first semester of college eons ago. It was a delight just to hear from her, to have mail in my campus mailbox for a change and to have the added pleasure of the cookies. A love molasses cookies now and might not have ever tried them had it not been for this letter and her thoughtful loving gift. I also remember the birthday cards received by not only Aunt 'Nette but also from Mee Maw and PaPa each year. I do believe that my love from honoring your birthday and anniversary with words and cards stem from receiving their letters and cards. There were several letters written in the New Testament of the Holy Bible. 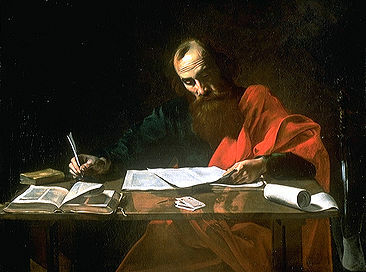 Paul wrote letters to the churches in Rome, Corinth, Galatia, Ephesus, Caesarea Philippi, Colossae, Thessalonica as well as those written directly to Timothy, Titus and Philemon. These letters are known as the Pauline Epistles and are found in the Holy Bible at Romans, First Corinthians, Second Corinthians, Galations, Ephesions, Philippians, Colossians, First Thessalonians, Second Thessalonians, First Timothy, Second Timothy, Titus and Philemon. Other biblical letters included in the New Testament were presented by Luke, John, Phillip, Peter and Jude to their respective readers. I am quite fond of verses 3 and 4 of the first book of Philippians. I love the old song from Girl Scouts that said, "Make new friends but keep the old, One is silver and the other is gold." I value my family and friends and because I do I send little love prayers to heaven for each person I've ever known on their special days. In the last thirteen years my letter writing and cards have diminished greatly. I have become lazy in sending snail mail cards because email and facebook are too convenient. I do not have addresses any longer for a few friends or family because they have either grown up and moved on from their family homes or have just lost touch after so many years. I miss keeping in touch with these people. In recent years I have found a love of making my own cards with hope of once again sending out the Old-Fashioned Letter. One advantage of facebook is the birthday reminders. It has increased my my prayers for you my friends because thanks to this social media forum I have insight as to what to pray for you and especially on your birthdays/anniversaries and those of your family too! I so hope to begin to bless once again in the near future those that I have addresses for, as the Holy Spirit leads, with snail mail in addition to praying for them. Send me an email with your address if it has been ages since you have had a card or letter from me. I promise to write back! When is the last time you sat down to hand-write a letter to a friend or a loved one? Do you remember receiving any special mail or packages that bring fond memories of the tangible yet lost art of hand-written notes? Do you have someone in mind right now that you can sit down and send a little piece of yourself to in the form of an old-Fashioned snail mail letter or package? Share your comment below with me to let me know your thoughts on the old-Fashioned letter and these points to ponder.